Flying… the dream of every human being..
We cannot make you flight, but we can give you the opportunity to manage an airport! Yeah, is not as cool as flying, but it’s a start! Idle Cooking Tycoon, our last simulator game, was downloaded more than 100,000 times in the first two days after the release. Players have been baking for more than 72,000 hours, and have made millions of cakes, chocolate bars, and pancakes. Would not be great to work on a bakery? Surronded by muffins, cakes, chocolate, biscuits, and pies. 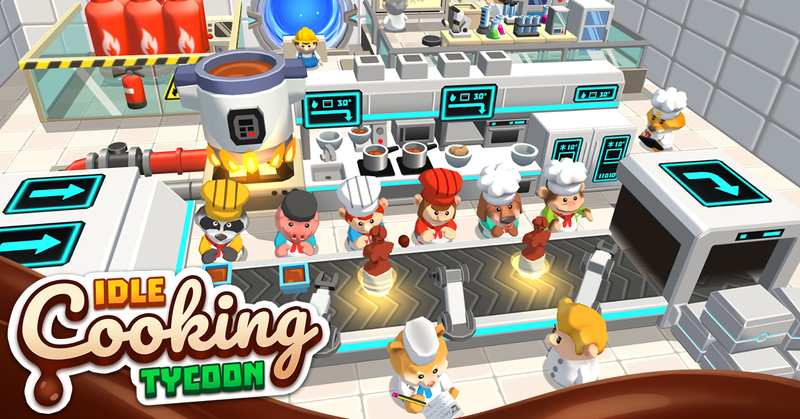 We are proud to introduce our new game Idle Cooking Tycoon, a simulator game where players will take control of their own bakery.